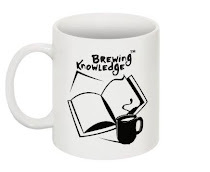 Brewing Knowledge: Volunteers back in action! The happy team is back... 3rd July 2010, the volunteer Gold Holders have kicked off a new season for the Award in India. Same month in 2009, IAYP India formally launched the Volunteer inititives at the national office, as the Delhi University now reopens, we are all set to bring on board new energy. The meeting was attended by Saachi, Pranay, Tripti, Ankit, Neha, Nivedia and Atom too. Ideas were floated and plans are afoot for 2010-11; events, administering and buildng the GAHS was the key agenda. The Gold Holders and Volunteers will meet every Saturday at 3.00 PM at 'the studio' and work to engaging youth in society.